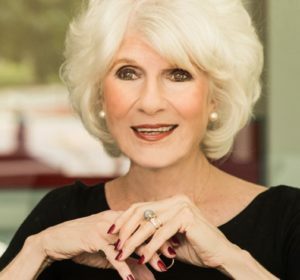 Diane Rehm is the well-known host of The Diane Rehm Show on National Public Radio. She and her husband, John were married for 54 years. He died in 2014 from Parkinson’s disease, but his death was prolonged despite his strong wish for help to die comfortably, and on his own terms. We’ll talk to Diane about her recent book, On My Own where she shares her deeply personal account of her husband’s life, the pain he suffered from Parkinson’s and spine disease, and her strong belief in the right to choose our own death. Posted in Caregiving, Celebrity, Celebrity Interviews, Disease, Older Adult, Premium, Radio Shows. ← National Public Health Week: How Are You Managing Your Pain?